Yuan Quan, a renowned stage, film and television actress who trained professionally at the Peking Opera for seven years, and in stage, film and TV acting for four years. During her college study, she debut in the film Rhapsody of Spring, and received the Golden Rooster Award for Best Supporting Actress. In the subsequent years, she has starred in films including A Love of Blueness, Pretty Big Feet, and been honored or nominated for the Golden Rooster Award and the Hundred Flowers Award for Best Supporting Actress a number of times. 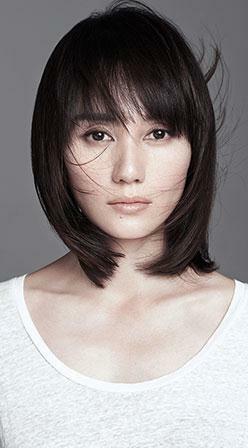 She was nominated for the Golden Horse Award for Best Supporting Actress. In 2012, she played in popular films, including Breakup Buddies, and The Continent. Yuan Quan has long been active in theatre in productions by famous directors Meng Jinghui, Tian Qinxin, Stan Lai, Wang Xiaoying and Zhang Wanting, touring throughout China and to Hong Kong, Macau and Singapore in hundreds of performances. She starred inthe musical Song of Light and Shadow, dramatic plays Amber, Secret Love in Peach Blossom Land, Jane Eyre, Green Snake, and To Live, all of which are commercially successful and critically acclaimed. She was inducted into the China Drama 100 Year Hall of Fame, and has received all major awards in Chinese theatre including China Theatre Plum Blossom Performance Award and China Drama Golden Lion Award.